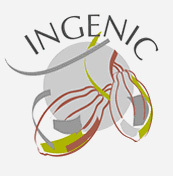 INGENIC was created in 1994 and operates as an independent group sponsored by different institutions. It promotes the exchange of information and international collaboration on cocoa genetics and improvement of cocoa planting materials. Our membership currently includes approximately 223 members, representing 35 developing and developed countries around the world.